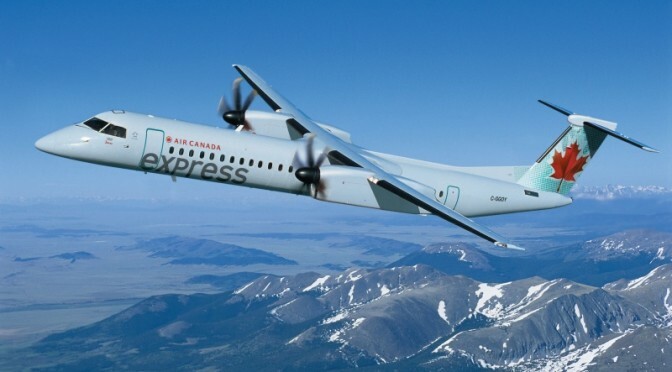 Mont-Tremblant (QC), Canada – Serving a route already flown by Porter Airlines for a number of ski seasons, Air Canada has announced that it will compete head-to-head with the young upstart airline this winter by introducing non-stop flights between Toronto and Mont-Tremblant, Quebec. Air Canada’s service to Mont-Tremblant will be operated four times per week by Air Canada Express with 74-seat Bombardier Q400 aircraft. Flights will operate between December 18, 2014 and March 30, 2015 during the peak winter skiing season. 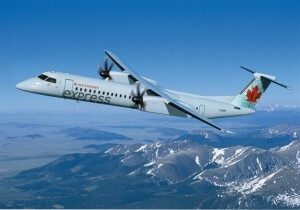 Sample introductory one-way fares including all taxes from Toronto start at C$159. To Patrice Malo, Chairman of the Board of the Tremblant Resort Association, the announcement of Air Canada’s direct connection between Toronto and Tremblant International Airport fits in perfectly with Tremblant’s development plan. “A very promising project for the entire region, it affords growth opportunities that should be seized upon, that are sure to meet Torontonians’ expectations and allow us to move forward with our development,” added Louise Champagne, President of Tourisme Mont-Tremblant. Porter Airlines continues to fly the Toronto to Mont-Tremblant route. That airline’s seasonal service is scheduled to run from December 5, 2014 to April 6, 2015. Mont-Tremblant International Airport (YTM) is located 35 km/22 miles from the ski resort. Shuttles and car services are available for ground transportation between the resort and the airport.